Showing Articles Posted In: "1972"
Toyota Land Cruiser for sale, found this one the Japanese vintage SUV was designed to carry passengers with highly off-road capability, called the FJ55 is very well-known as the early modern SUV model of the Toyota automobile that was come from the Land Cruiser lineage. 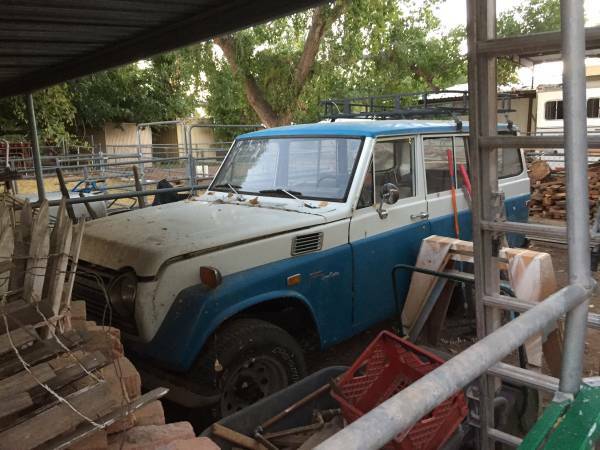 Released in 1972 by Toyota export to US then sold in Arizona, 44 years old spent entire live in Gilbert Arizona it never got hit, solid and straight body frame with repainted since 2004. Reportedly runs good with 98132 miles shown at odometer, that's could be a potential project to restored, as always a closer inspection needed to accurately calculation. 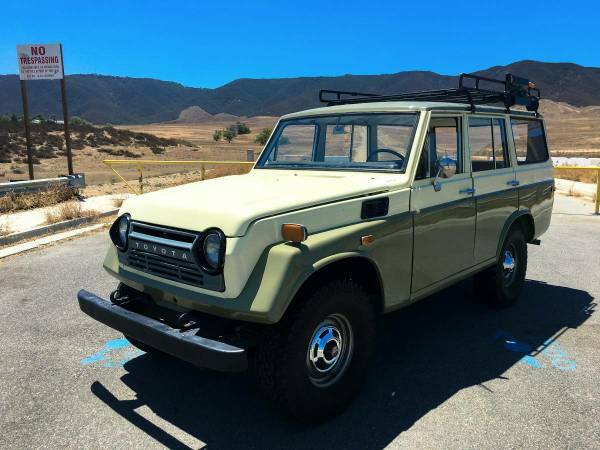 Toyota Land Cruiser for sale, this early of the Japanese all-terrain vehicle was designed to carry passengers, and is also known as the first SUV model of the Land Cruiser family that was called the FJ55 some of you know him as the Iron Pig Toyota. 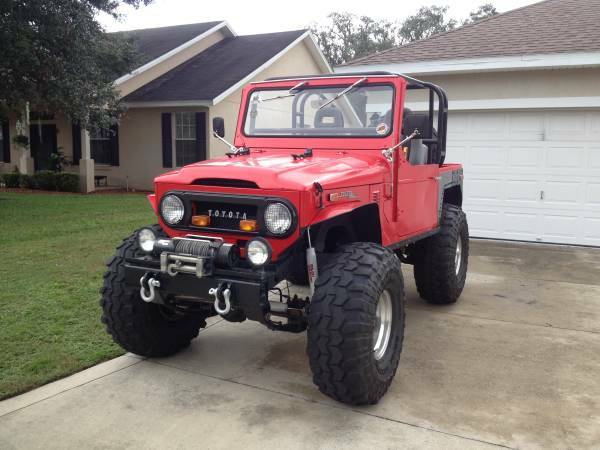 As shown here is 1972 model has been totally restored is said rust free and still original looking for a new home. 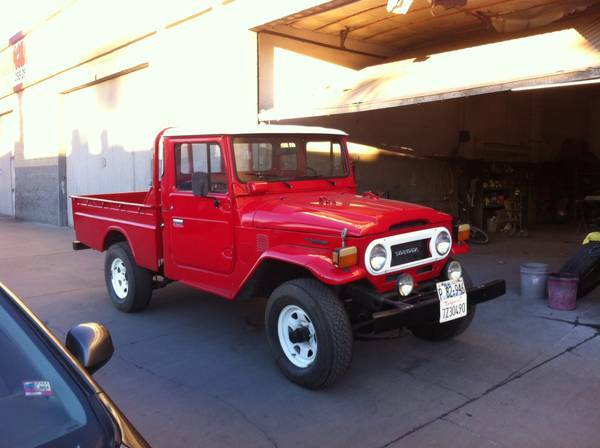 Toyota Land Cruiser for sale, this a classic 4WD pickup truck was offered by Toyota based on the Land Cruiser FJ45 released in 1972 still in excellent condition, all look perfect inside and out, body frame looks solid, hard to see a dent or rust in here. The engine looks correct it seem has been rebuilt, the seller claim is runs and drives very well. 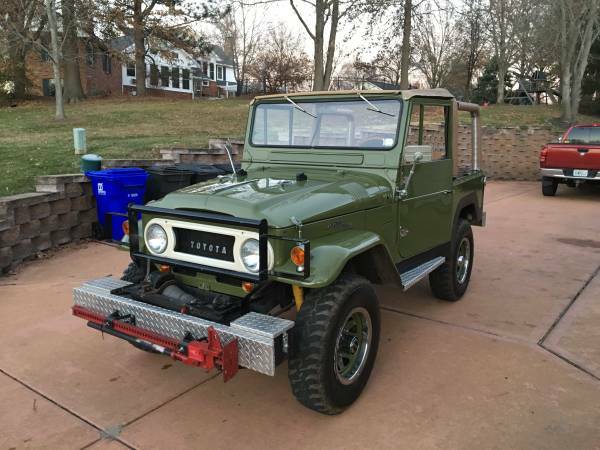 Toyota Land Cruiser for sale, this one of the coolest off road vehicles, a nicest custom built outcome based on FJ40 1972 model year ready to go. These Land Cruise come with 56000 original miles, had many upgrade and stock parts to raise off road capability. It could be a perfect 4x4 toy to to satisfy your hobby or just kept it.